We offer Obedience Training in basic, intermediate, and advanced levels. In basic training, they will learn manners and the foundation for basic commands. In Intermediate training, they will learn their drills, rallies, weaving, greetings, shoulder passes, and much more. They will also be able to participate in the Monday morning task classes. We offer an orientation class that is held the Tuesday, just prior to your classes that start on Wednesday. The staff strongly recommends that you attend orientation. Advanced training goes into side stepping, follow, back heels, mayday, airport training, and distraction training. Once they have completed advanced training, they will have moved to the service dog ring. 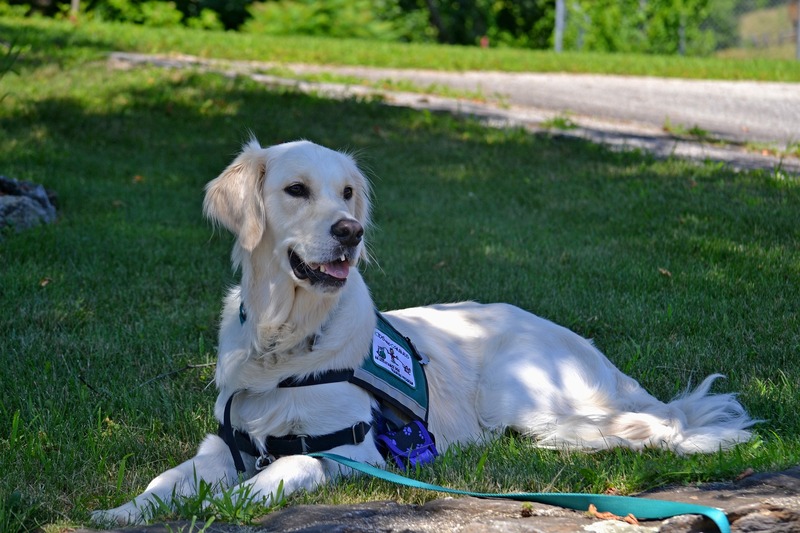 We also provide Service Dog and Therapy Dog Training, which dive more into tasks oriented at providing for their owners. In addition to our dog training services, we now offer Miniature Pony Service Animal Training. Our classes operate in six (6) week cycles, with the last week of the rotation including progression testing to ensure advancement into the next class ring. See the calendar below for training dates..
We also offer CGC (Canine Good Citizen) testing, Urban CGC, and Advanced Urban CGC. We have our own certified evaluators to test the dogs, each coming with years of experience. 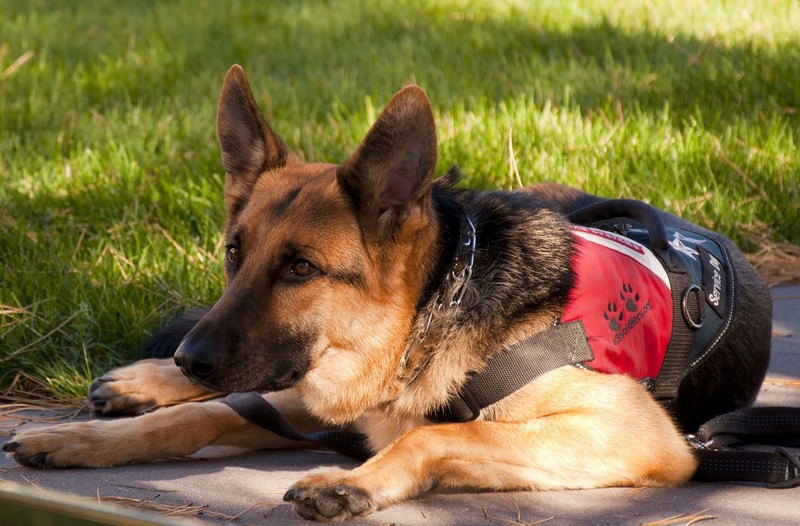 These tests are all completed before they enter the Service Dog ring. 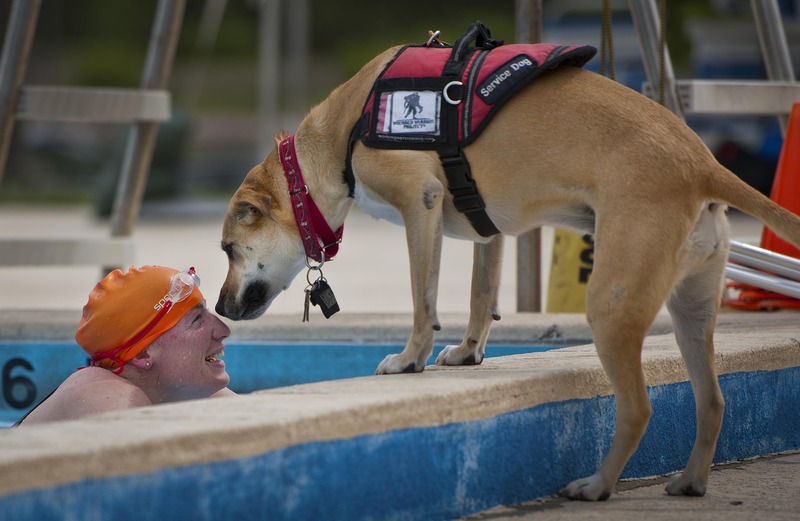 Canine Good Citizen training teaches Responsible dog ownership to owners, and basic training and good manners to dogs. This is a requirement for most therapy dogs. 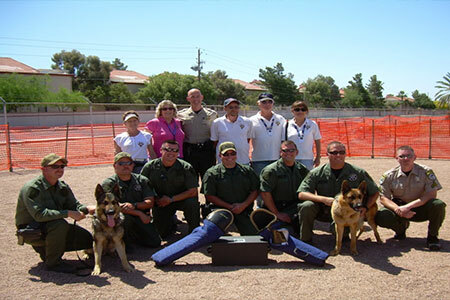 Urban Canine Good Citizen training teaches and tests the dogs basic skills in an urban setting, such as in public. In other words, it is designed to test the dogs abilities to manage distractions, noise, and people as the dog would encounter in places outside the home. 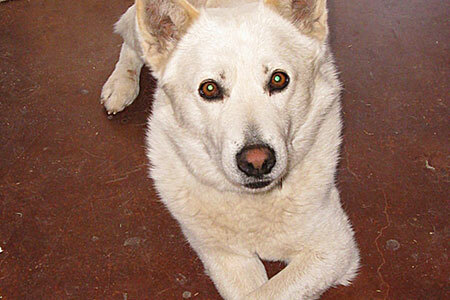 We ask for donation of $10.00 for CGC testing. This covers the administrative costs for forms from the American Kennel Club. See the calendar below for CGD Test dates. See the calendar below for training dates. Check the calendar for upcoming events and training sessions.